Malkangiri, April 8: A destitute woman of MV-16 village under Malkangiri police limits Monday filed a case in the court of Sub-Divisional Judicial Magistrate (SDJM) here against her sister-in-law who allegedly sold the former’s daughter in Haryana on false promise of marriage through a woman trafficking racket.According to sources, Shanti Devnath, who is mentally challenged, is unable to earn livelihood for his family. His wife Bijana, a bidi worker, has been managing their household. But as she found it difficult to take proper care of their daughter, she had sent 14-year-old Sujata to her sister-in-law Sabitri Ray’s house at Colony No-119 some eight years ago.Sujata used to do all the household work at her aunt’s house. However, when she grew up, Sabitri and her husband Bikash sent the girl at the age of 22 to Haryana on promises of marriage without informing Sujata’s parents.The fact came to fore when Sujata called her mother up from Haryana January 25 this year. 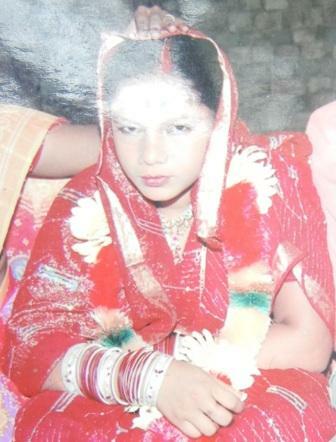 She informed that her aunt and uncle sold her in Adinipadamandi of Haryana for Rs 50,000. She was threatened with life if she raises voice in this regard. She asked her mother to take her back home as she was in difficulties there.When Bijana asked Sabitri and Bikash about her daughter, the couple, instead of giving any explanation, threatened Bijana also with life. The helpless mother then filed a case against the couple at SDJM court here under Sections 372, 294, 506 and 34.Last month, police had arrested two middlemen who were trying to take away some young girls of MV-3 village to sell them in Haryana. A racket has been active in the area recently for trafficking young girls to Haryana on the promises of marriage, revealed sources.